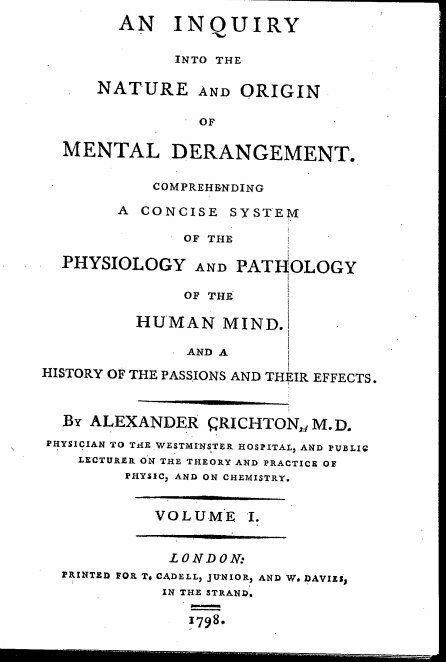 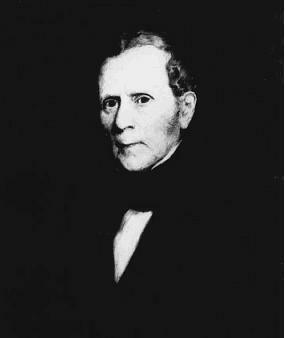 In 1798, a Scottish-born physician and author, Sir Alexander Crichton (1763-1856), described what seems to be a similar mental state much like the inattentive subtype of ADHD, in his book: An inquiry into the nature and origin of mental derangement: comprehending a concise system of the physiology and pathology of the human mind and a history of the passions and their efects. 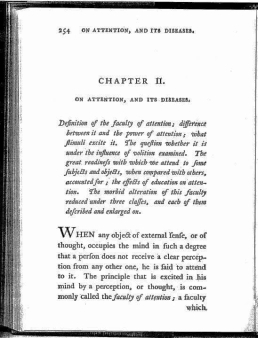 In the chapter ”Attention”, Crichton described a ”mental restlessness”. 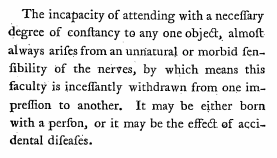 “The incapacity of attending with a necessary degree of constancy to any one object, almost always arises from an unnatural or morbid sensibility of the nerves, by which means this faculty is incessantly withdrawn from one impression to another. 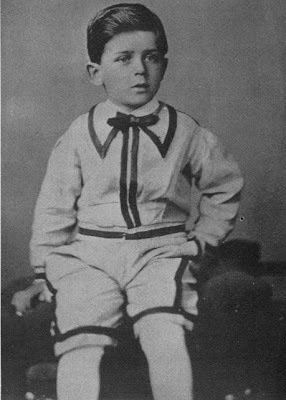 It may be either born with a person or it may be the effect of accidental diseases. 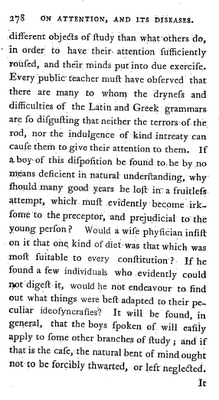 Alexander Crichton was almost two centuries ahead of his time in his observations of what is now known as the Inattention subtype of ADHD. 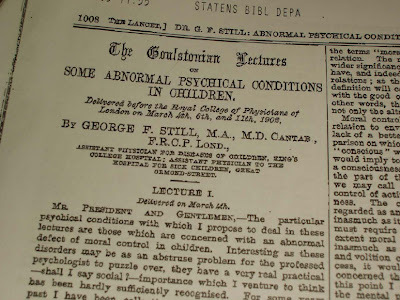 He wrote about the salient features of this disorder, including attentional problems, restlessness, early onset, and how it can affect schooling, without any of the moralism introduced by George Still and later authors of the subject. 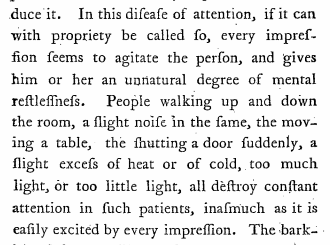 subtype of attention deficit hyperactivity disorder which were almost entirely consistent with the criteria for the inattentive subtype as portrayed in DSM-IV (APA,2000) (Palmer & Finger, 2001).